Here we are again! Welcome to the Tuesday Tease~! To my Nook customers, I’m so sorry for the bizarre delay! *cries a little* I have sent seven emails to B&N only to receive 2 form letters back. Although, I'm still hopeful that this hiccup will be resolved quickly. *prays* Unfortunately they don’t have a number for their uploading site like they do for end users so I’m at the mercy of their support team. I’m very anxious to get this resolved. I've had several readers let me know they picked up the free Kindle app for their phone and purchased through Amazon, also several readers have purchased direct from Smashwords. I’m going to see if there’s a way to distribute the epub file straight from my website so it will still load to your Nook but we can get the books to you as soon as they're available to Amazon customers. I think it's only fair. I’ll be looking into apps for that all day so if anyone knows of one I’d love to hear about it. I hope to figure this out before ELYSIAN is ready to hit the e-shelves. SOMEONE LIKE YOU: This is the follow-up book to SOMEONE TO LOVE. This is Morgan and Ally’s story. (Kendall’s brother and her BFF). It’s written and patiently waiting for edits but I wanted to share it’s existence with you. Morgan is hawt. Think Gage with tattoos. EVANESCENT: So close to turning this in to my editor!!! I’m shooting for Friday. *crosses fingers and toes* I’d love to make this a March release but if not, early April for sure. I think it is SO exciting!!! Plus there are two male POV’s in addition to Laken’s! ELYSIAN: Almost finished. I will not lie, I am so torn to pieces over this. Things swim along so normally in ELYSIAN then POW! (Yes, I’ve just resorted to verbiage you’d see in a Batman cartoon.) Anyway, before I get too spoilery, onto the teasers! I blink back the tears and take him in—tall, dark, and inked beyond handsome. There’s a sincerity in Morgan that I haven’t found in anyone else. He latches onto me with a tender gaze. Morgan Jordan exudes an inextinguishable fire from those steel grey eyes and it makes everything in me quiver to have him. His mouth hedges in ever so close to mine and a breath gets caught in my throat at what might come next. My lips part in anticipation. His granite-like chest presses tight against me as my thigh slips between his legs. “You’re welcome.” He digs a smile into the side of his cheek and walks right out of the kitchen. Wes leans back and folds his arms. I know what he’s waiting for—the big denial. *Skyla lost in her thoughts while driving over to Marshall’s house. I speed over in my barely-there cheer uniform. God forbid Chloe spot me defecting from the group. She’ll probably have me turning in my miniskirt before the end of the evening. Sometimes I think that the only thing Chloe loves is cheer itself. Just what in the hell is she going to do with herself after graduation? Oh, that’s right, according Chloe she won’t be here. As if. I’m never that lucky. I’ve got a mother who practically rules the universe, and yet my name might as well be Skyla Misfortune Messenger. Nope. I seriously doubt Chloe will bite the dust as a graduation gift to me. She’ll definitely be hanging around for Gage, crawling after him on her knees in the supermarket, the gas station. I predict a permanent restraining order is in the works. *There it is! Hope you enjoyed the teasers. Wow. I always love your teasers. They always leave me on the edge of my seat!! Can't wait till elysian and evanescent come out. Your teasers are absolutely killing me!!!! Do u have an estimate on when elysian and evanescent are coming out? Addison, I've been trying to comment for months but my phone wouldn't let me ;'( I've read every single one of your books religiously as soon as they came out. Every spare minute of my day was spent plowing through your books. I can honestly say that I've had trouble picking up other books because I'm so dedicated to your work. I'm so ecstatic for Evanescent and Elysian I can't even put it into words. Keep up the amazing work, addison! You're THE best. Also, EK was great!! I'd be so interested to read Toxic 1&2 in the Oliver boy's POV and Marshall! 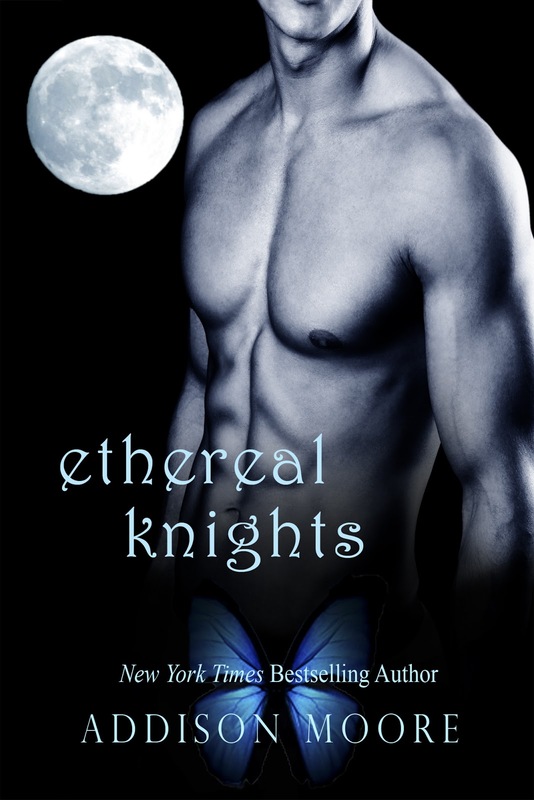 I loved Ethereal Knights. I read it in like six hours. Are you thinking about writing the rest of the series in the Oliver's POV. I would love to read more of their side of the story. I can't wait to read more of your books. All of your books have been wonderful. Keep up the good work. MagentaCR - Great news! I just got word it should load to iBookstore in the next few days. Of course i'll cry if it doesn't. B&N is making me insane. But I should put the link up soon for iBookstore! jasmine01 - Thank you! I can't wait to drop the books, either. I'm thinking EVANESCENT later this month if all goes well with editor and ELYSIAN at the end of April-ish. I think that's realistic but things could move quicker or slower depending on what life has planned. Kelsey Hansen - Yay!!! I'm so glad you finally get to comment! I love talking with you guys! Can I just say how much you've touched me with your words? I'm so super humbled and I feel totally blown away with your kindness. I'm super thrilled you're enjoying the books. I'm glad you enjoyed the boys in EK. I do plan on doing other Oliver boyz POV novels. I hope you'll find them just as interesting. KSinger - I love that you gobbled up EK! I really have a heart for those boyz so to see the book appreciated makes my heart sing. Thank you for that! I'm going to do more POV projects with the boyz but it might be in another form. I would like to do Tremble and if I did the entire series I think I would consolidate the books to make it more palatable. It would be a slower going project but fun because the boys have different story lines. Thank you so much for reading! Its finally on Barnes and Nobles! I was so excited I bought it again. I am a nook user who was waiting and waiting. I couldn't wait any longer when I found out on Tuesdays teasers that I could buy e/k on smash words. I have already read it and love it but I really like all my books together so when I saw it today I had to have it together with all 8 others in the series. Great work can't wait for the next book! MagentaCR - I hope it's up by now! If it is, happy reading~! I'm glad you got a couple chapters in on Amazon! I don't usually write reviews because I never really know what to say, but I just had to say something to you! I read Ephemeral before I ever even heard of the Celestra series, and I happen on that by accident. I am so incredibly glad that I did because your work is amazing! I am right in the middle of Toxic part 2, and every time I think I know what's going on I get it completley wrong and that is why I love your work. I do have to say that I really hope Chloe gets what is coming to her and I feel really sorry for Skyla because there is no way I could choose between Logan and Gage! Can't wait for Evanescent and Elysian. Ashley Gill - Oh, you have no idea how happy I am to hear that! I just edited Evanescent and sent it off to my editor for her expert eyes to scrutinize it. She'll have it back to me soon. I'm hoping for a late March/early April release but we shall see. And I'm thrilled to know it pulled you over to Celestra. And yes, Chloe deserves something horrible to happen to her and soon. Hopefully I'll be penning "the end" to ELYSIAN this week or next. Thank you so much for taking the time to write. Please stop by often~!